The Super Fund industry has welcomed the recommendations made by Commissioner Hayne in the royal commission final report. The recently released royal commission made several recommendations that would affect the super industry including changes to fee structure and penalties. Mr Hayne recommended that ASIC be given the power to enforce all provisions in the SIS Act as relating to civil penalties and called for more co-regulation. “Without limiting any powers APRA currently has under the SIS Act, ASIC should be given the power to enforce all provisions in the SIS Act that are, or will become, civil penalty provisions or otherwise give rise to a cause of action against an RSE licensee or director for conduct that may harm a consumer,” he said. A new civil penalty provision was recommended by Mr Hayne which would ban super trustees from treating employers in order to have their fund nominated as a default fund. “It was suggested that such a prohibition would disproportionately disadvantage industry super funds, who, unlike many retail funds, must operate without the benefit of established banking relationships with employers. Even if that were so, I do not accept that trustees should be permitted to attempt to influence employers’ decisions through irrelevant considerations,” he said. 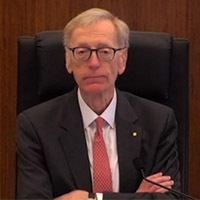 Mr Hayne also recommended that super trustees be prohibited from assuming any obligations other than those related to being the trustee of the fund and that hawking of super products be banned. The report also said the deduction of advice fees from a MySuper account be prohibited and that employees should have only one default super fund. QMV’s principal consultant legal and risk Jonathan Steffanoni said that there were more recommendations for the industry to be found throughout the report. “There’s a focus on reform in the recommendations around super. However, the advice and insurance related recommendations also do impact on superannuation. I think it’s important to understand that a global view of the report needs to be taken by superannuation and how it may impact them,” he said. Mr Steffanoni said the government seemed committed to implementing the recommendations but it would take a number of years. “I think it’s important that superannuation industry is involved in the consultation which would undoubtedly be the result of such a legislative program,” he said. The Australian Super Funds Association said that Mr Hayne’s recommendations would only make the system stronger. ASFA’s chief executive Dr Martin Fahy said the proposed reforms amounted to strengthening conflict management and regulator frameworks. “Reforming the system in this manner will build consumer trust and confidence in a system that is already delivering some exceptional outcomes for Australians,” he said. Dr Fahy said it was now in the hands of the industry to implement the changes. “In the course of his forensic inquiry, the commissioner has identified specific areas for improvement to ensure these standards are better applied in practice. It’s now up to industry and regulators to raise the bar,” said Dr Fahy. The Australia Institute of Superannuation Trustees chief executive Eva Scheerlinck welcomed the reports emphasis on the need for directors to abide by the best interest duty. “As Commissioner Hayne succinctly put it, the concept of acting in members’ best interests is not hard to understand. The banks and ‘for-profit’ super funds must be forced to abide by this fundamental principle and if they break the law the community has a right expect that they are properly held to account,” she said. Ms Scheerlinck welcomed the recommendation to ban cross-selling by banks on super products and the recommendation to ban grandfathered commissions on profit-super funds. “The hearings revealed that many consumers were switched into bank-owned super funds that were not in their best interests, so the law needs to be very clear that such hawking is illegal,” she said.